Bangkok, the capital city of Thailand, definitely is a remarkable destination for a vacation. It offers a variety of leisure activities, world-class nightlife, spectacular arts, and interesting traditional and culture, and shopping with high value for money. Once visiting Bangkok, those who are curious about the best city award will immediately disappear. Bangkok is the capital city of Thailand, located in the center region of Thailand. Provinces next to Bangkok can be seen as a part of this grand city also. 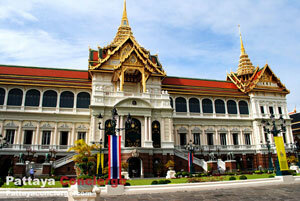 The heart of Bangkok is Rattanakosin Island, where Royal Grand Palace is also located here. Although this island is the focal center of Bangkok, several other major areas in this city can also be seen as the center of Bangkok as well. For example, Silom is a center of Bangkok for businesses, Siam is a center of new trends, and China Town is the center for a variety of food and gold smith shops. Within Bangkok, the most convenient and reliable transport would be BTS Sky Train and MRT Underground Train, but they have not covered entire area of this complex city yet. Metered taxis can be another interesting option because it can provide international standard with reasonable price. It is even considered as a cheap option when visitors come with a few friends. Public bus transport is the cheapest option but the difficult is to memorize bus line number for the destination as well. One last option here is Tuk Tuk. It might be a general option for local residences, but for expats, Tuk Tuk seems to be the most interesting one. Bangkok is the official name for capital city of Thailand, but it is actually called by Thais as "Krungthep", meaning the city of angels. This Thai name of the city is just the short one, since its real name is so long that Those who tell you the real name once might not be able to repeat the same thing to you. The capital of Thailand was moved to Bangkok from Krung Thonburi by the order of King Rama I, the first king of Chakkri Dynasty, in 1782. The reasons to move the capital city are that old grand palace is limited for the expansion, while Bangkok location is great for protecting invaders. King Rama I also ordered to dig canal around the area of the new palace. Royal Grand Palace and Temple of Emerald Buddha was established before other buildings. After that renovations are applied over times until today. A major renovation was given in every fifty years, where the last one is in 1982, the celebration of 200th year anniversary of Bangkok.